It's always a good idea to learn the basics about your destination before you dash off on your break. Put a circle around Takamatsu on your map now and get ready for an unforgettable adventure! Takamatsu is 25 miles (40 kilometers) south of Okayama, a significant city. Around 330,000 people reside in this corner of Kinki, so there are loads of opportunities to meet the locals. There are so many reasons to travel to Takamatsu through Travelocity! You'll pay a far lower price if you combine your bookings, and with no less than 400 airline partners and 665,000 accommodations, you'll have a world of choice. Are you after a panic-free visit? Our Customer 1st Guarantee gives you the advantage of 24/7 personal assistance on all services. If you somehow come across an even better deal on another site, we will refund the difference^. You're able to adjust any of your travel plans with no scary fees on our end. Do you know what that means? You've got nothing to stress over! And so long as you get in quick, many accommodations don't charge extra fees either^. A visit to Takamatsu is always a good idea, particularly when you have 15 amazing accommodations to choose from through Travelocity. The getaway you've been dreaming about is yours in a couple of clicks! When you've got all those unforgettable vacation experiences to organize, who wants to spend hours scouring the web for a place to stay? Don't worry, we've done all the hard work for you. 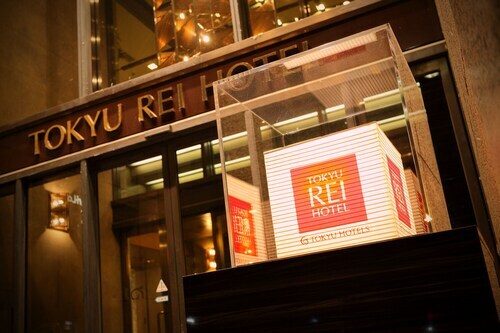 The Hotel Bokaiso and JR Hotel Clement Takamatsu are a couple of our highly recommended properties here. Where do you fly into for Takamatsu? Put your seat in the upright position and prepare to experience Takamatsu! Once you land at Takamatsu Airport (TAK), the main streets will be only 6 miles (10 kilometers) to the northeast of here. Can I rent a car in Takamatsu? Reserve a rental car via Travelocity and experience Takamatsu at your own speed. Have you considered picking up a car right from Takamatsu Airport? It's a good way to avoid carrying your baggage any longer than you have to. Hertz and Europcar both have offices in the immediate vicinity. Tamura Shrine is a spiritual place for many locals. While you're there, make the most of your time and appreciate some personal reflection. Seeking some more options? Temples have long appealed to pilgrims searching for divine enlightenment. Take in the holy site of Ichinomiyaji Temple and immerse yourself in your own mystical experience. And there's more. Whether you're an enthusiastic green thumb or you're just fond of pottering around in the soil, you can't do better than Ritsurin Garden if you're after horticultural inspiration. This private oasis is brimming with brilliant blooms and exciting design ideas. After you've spent some time seeing the best of Takamatsu, world-famous attractions are on offer right around the corner! Just 25 miles (40 kilometers) away is Okayama. Many people use this nearby locality as a base to visit the iconic attraction, the Oriental Museum. 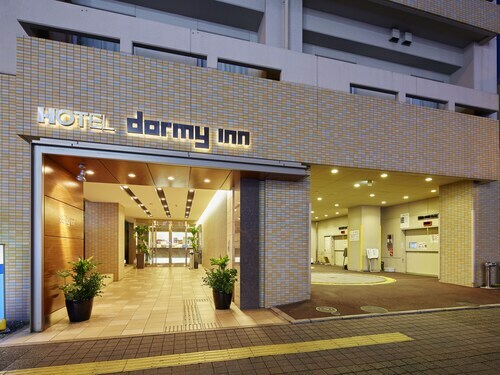 Situated in Takamatsu, this hotel is 0.3 mi (0.4 km) from Takamatsu City Museum of Art. Takamatsu Station is 17 minutes by foot and Ritsurin station is 17 minutes. 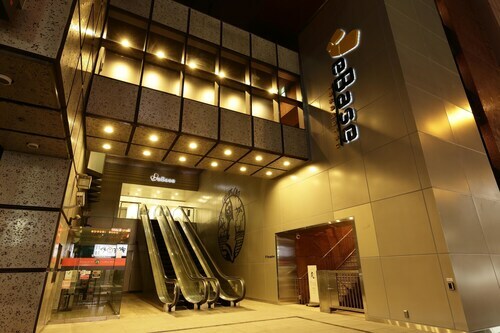 Located in the heart of Takamatsu, this hotel is within a 10-minute walk of 007 Museum and Takamatsu Castle. Kagawa Prefectural Cultural Hall and Kagawa Museum are also within 15 minutes. 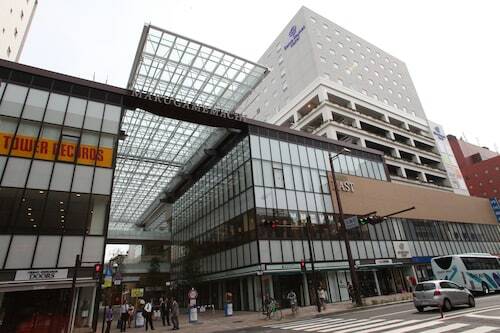 Takamatsu Station is only a 2-minute walk. Situated in Takamatsu, this hotel is within a 15-minute walk of Takamatsu City Museum of Art, Kurashikiyuga Onsen, and Lee Ufan Museum. Okushi Onsen and Art House Project are also within 15 minutes. Takamatsu Station is 17 minutes by foot and Ritsurin station is 17 minutes. 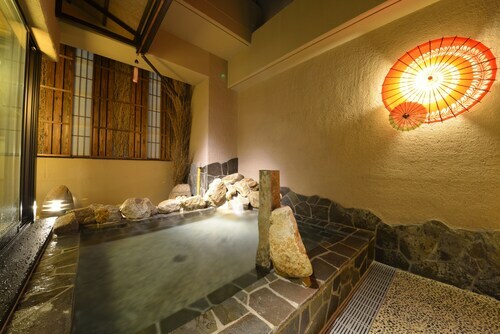 Located in the heart of Takamatsu, this hotel is within a 10-minute walk of Takamatsu City Museum of Art, Kurashikiyuga Onsen, and Lee Ufan Museum. Okushi Onsen and Art House Project are also within 10 minutes. Ritsurin station is 17 minutes by foot and Takamatsu Station is 18 minutes. 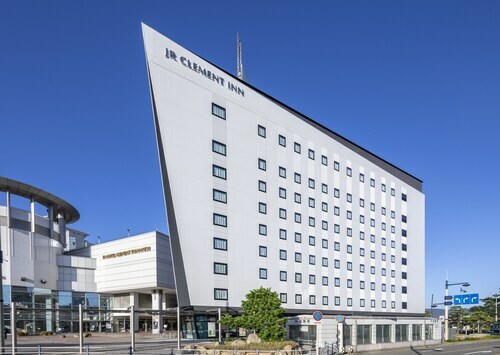 Situated in Takamatsu, this hotel is 0.3 mi (0.5 km) from Takamatsu Castle and within 12 mi (20 km) of Yashima and Chichu Art Museum. Ando Museum and Naoshima Ferry Terminal are also within 12 mi (20 km). Takamatsu Station is only a 3-minute walk. 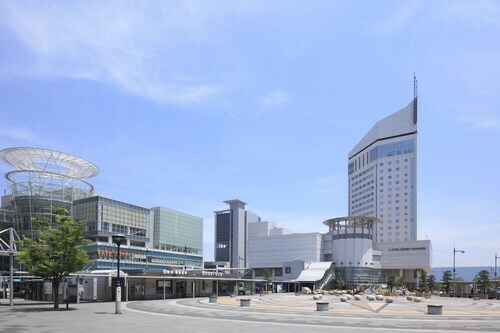 Situated in Takamatsu, this hotel is within a 10-minute walk of 007 Museum and Takamatsu Castle. Kagawa Prefectural Cultural Hall and Kagawa Museum are also within 15 minutes. Takamatsu Station is only a 3-minute walk. Situated in Takamatsu, this hotel is within a 10-minute walk of Takamatsu City Museum of Art, Kurashikiyuga Onsen, and Lee Ufan Museum. Okushi Onsen and Art House Project are also within 10 minutes. Takamatsu Station is 7 minutes by foot and Ritsurin station is 27 minutes. Located in the heart of Takamatsu, this hostel is within 1 mi (2 km) of Takamatsu Castle and Ritsurin Garden. Yashima and New Yashima Aquarium are also within 6 mi (10 km). Ritsurin station is 17 minutes by foot and Takamatsu Station is 18 minutes.